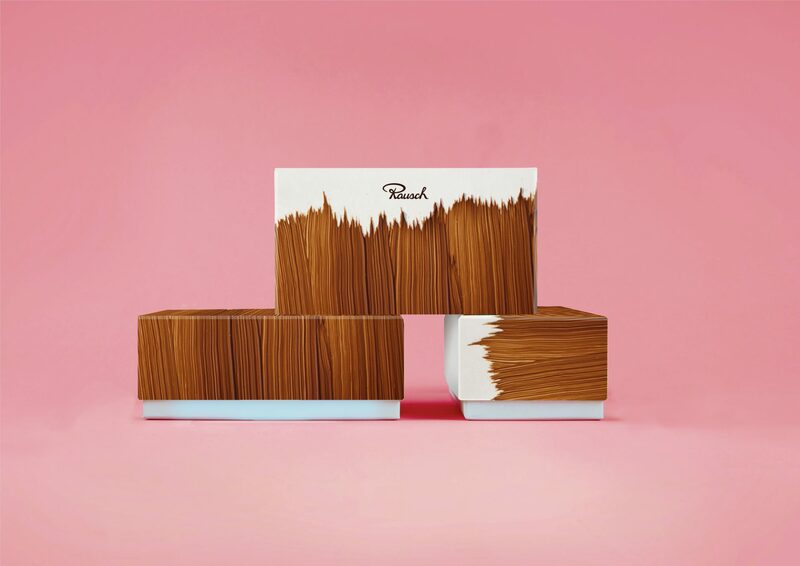 Realgestalt, Berlin’s agency for Strategic Brand Development, conceives a new Brand Design for the best chocolates in the world. 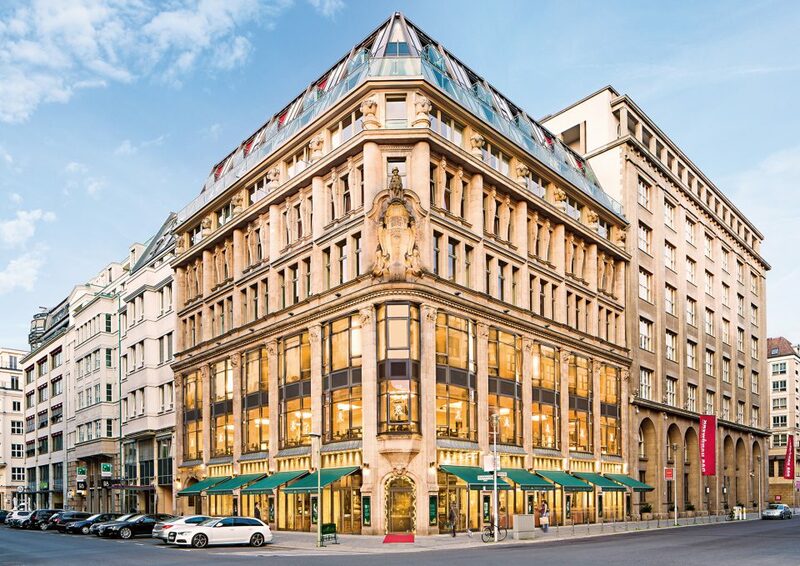 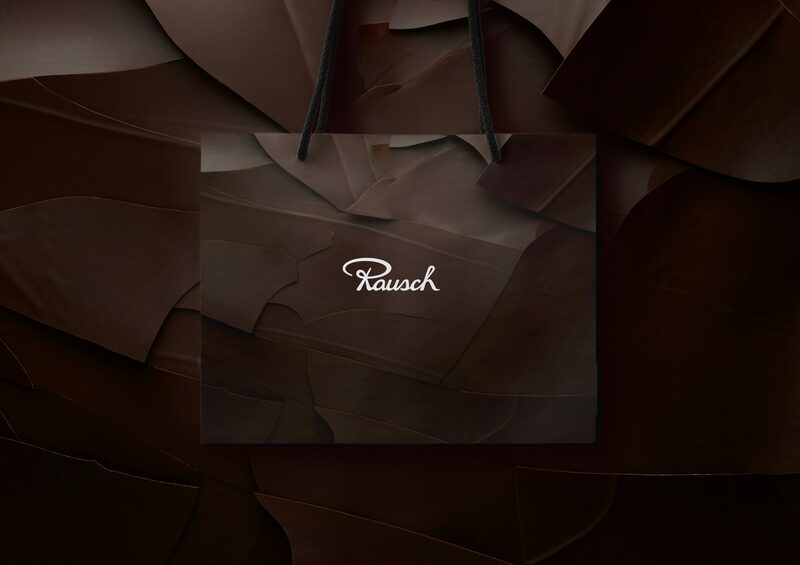 A new generation, new distribution channels, and a greater range of products: Fassbender & Rausch, a family business from Berlin with a longstanding history, repositions itself with a new Brand Design and Brand Strategy. 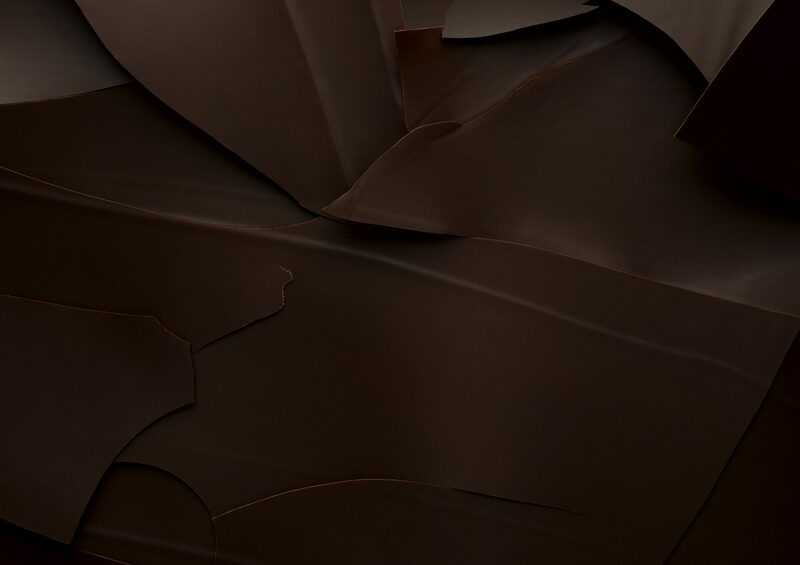 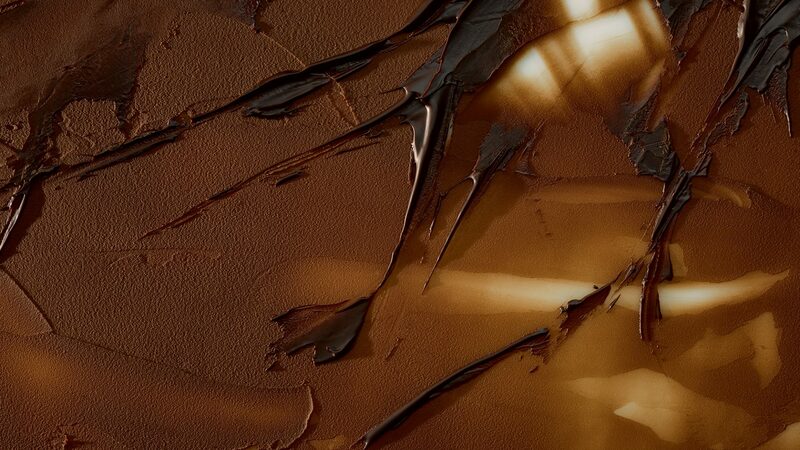 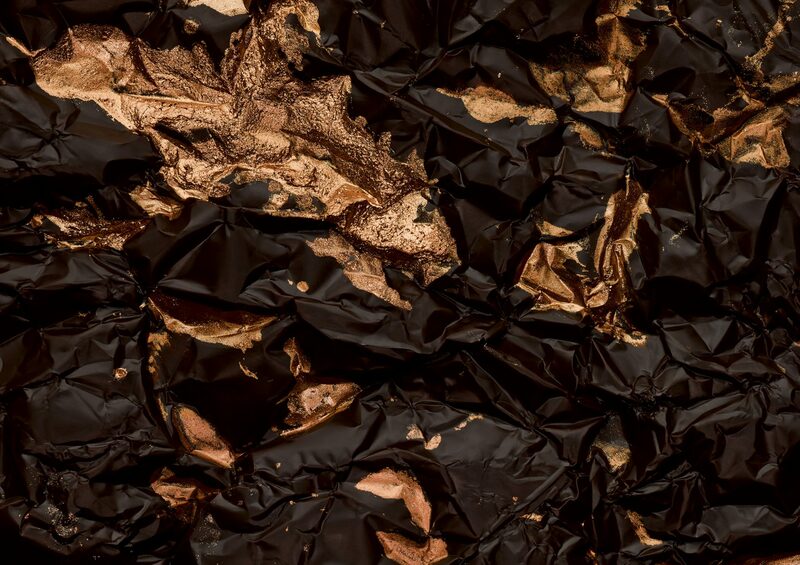 Macro footage of chocolate, complex photographic compositions in the style of the old masters combined with fresh, simple colors – the new Brand Design feels innovative, still communicating the company’s close ties with its own tradition. 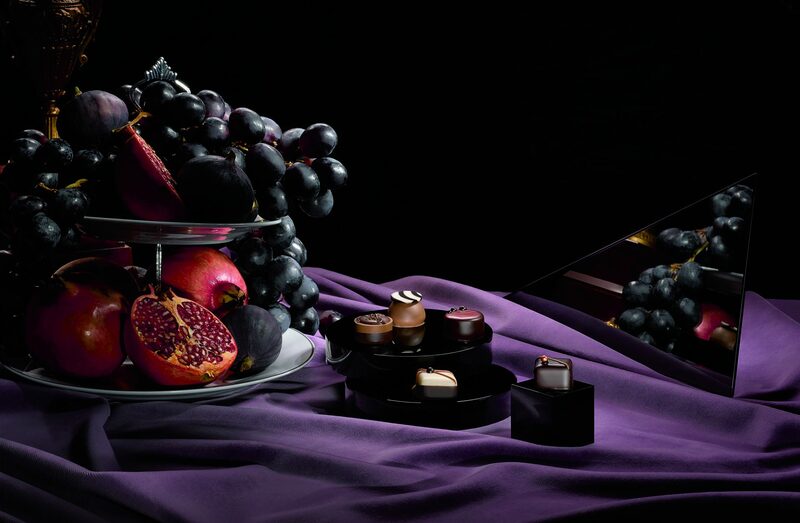 Elaborate stories introduce the products, their origins, and the people working behind the scenes. 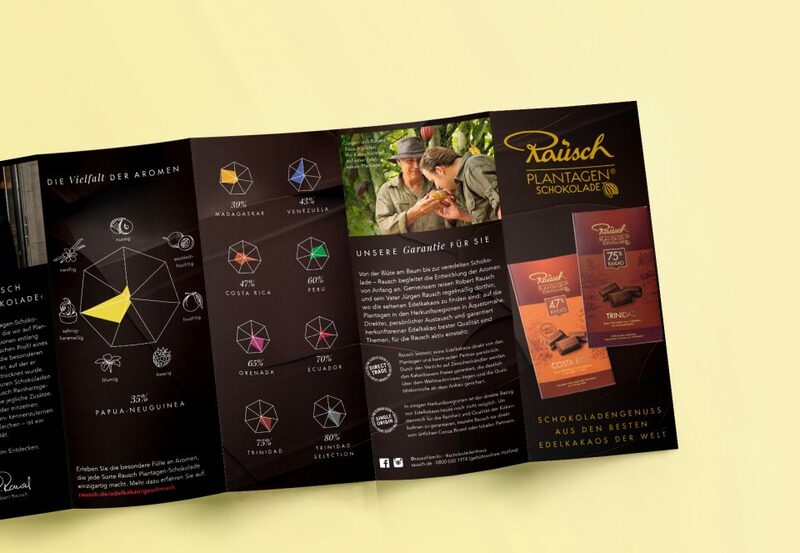 Would you like a sample of Rausch’s Plantagenschokolade, as soon as possible? 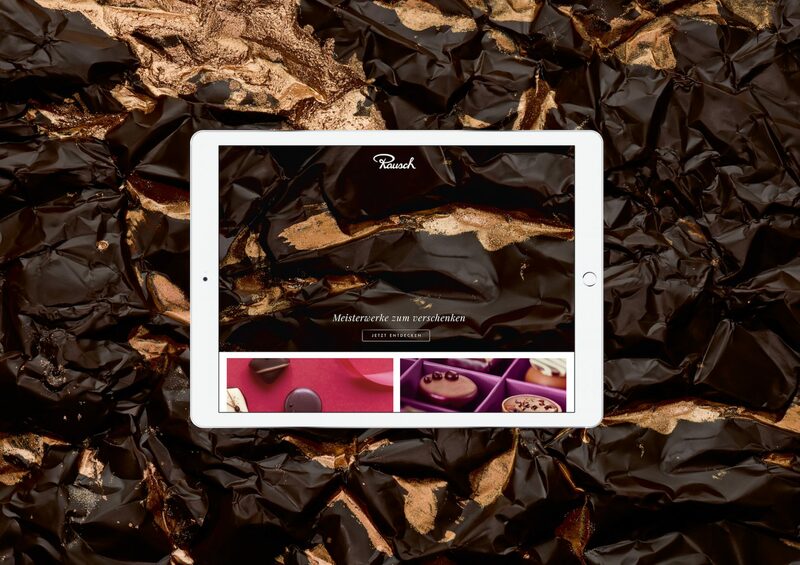 The new website narrates the visitor through the rich history of the traditional Berliner chocolate manufacturer. 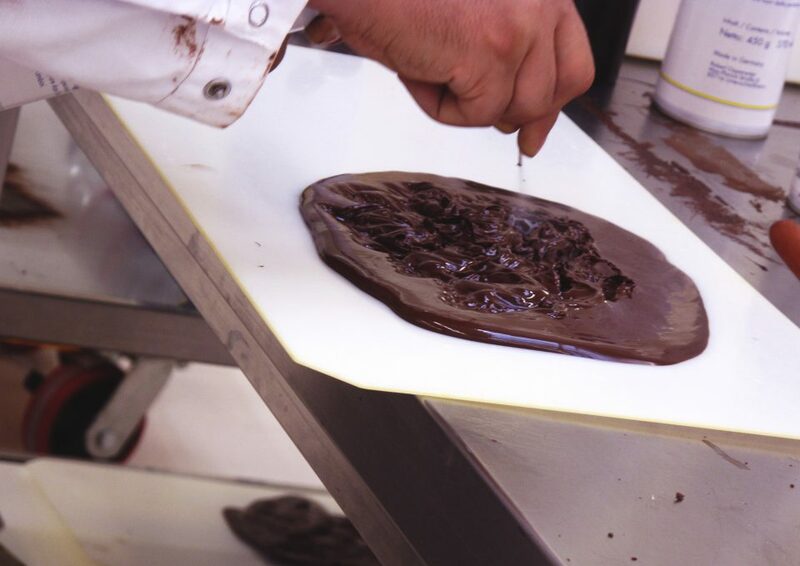 Through impressive historic footage and compelling storytelling, visitors can learn more about how the premium brand chocolate has been made for five generations. 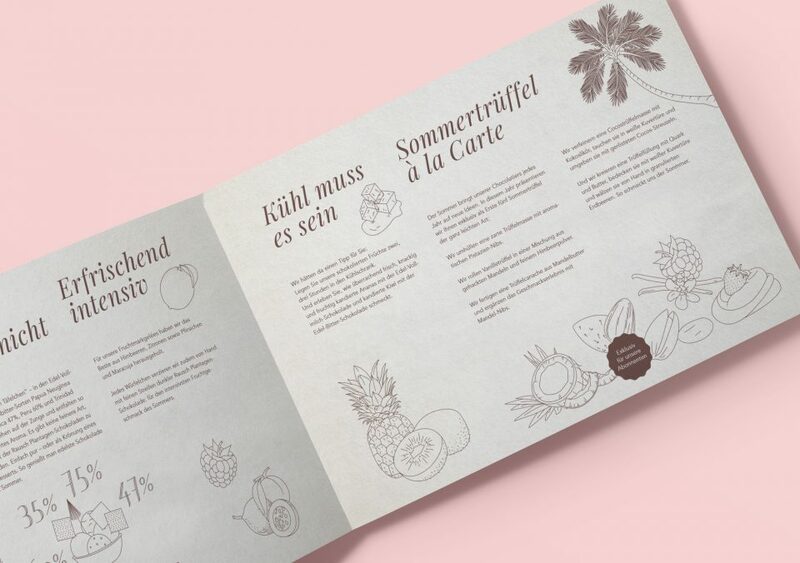 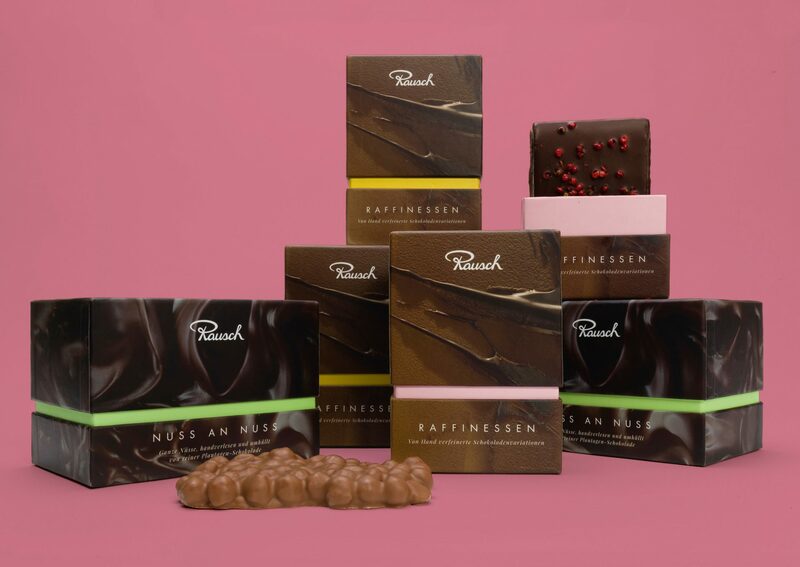 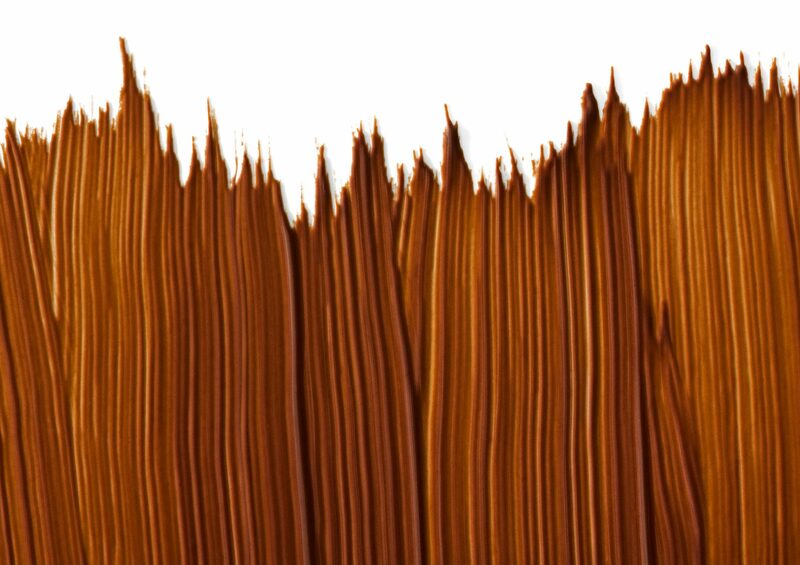 For the new chocolate and praline creations by Rausch, Realgestalt developed new names that denote grandness–Majestäten (majesty), Signaturen (signature), Raffinessen (refinements). 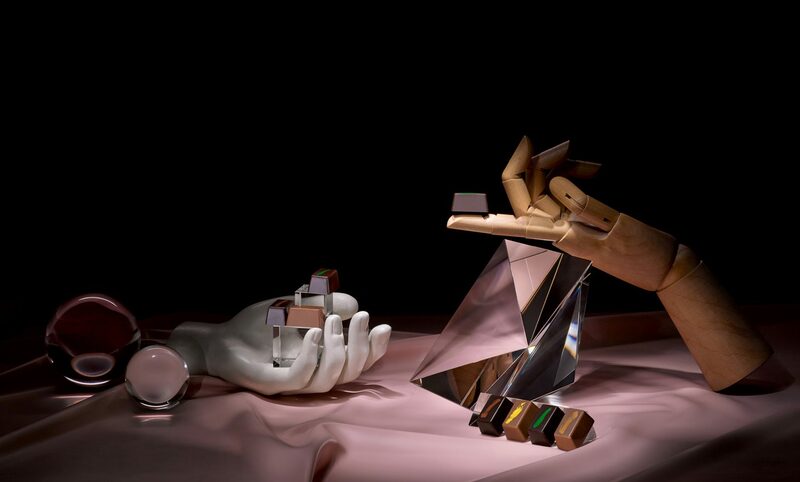 The Brand Strategy is best seen in the key visuals developed by Realgestalt. 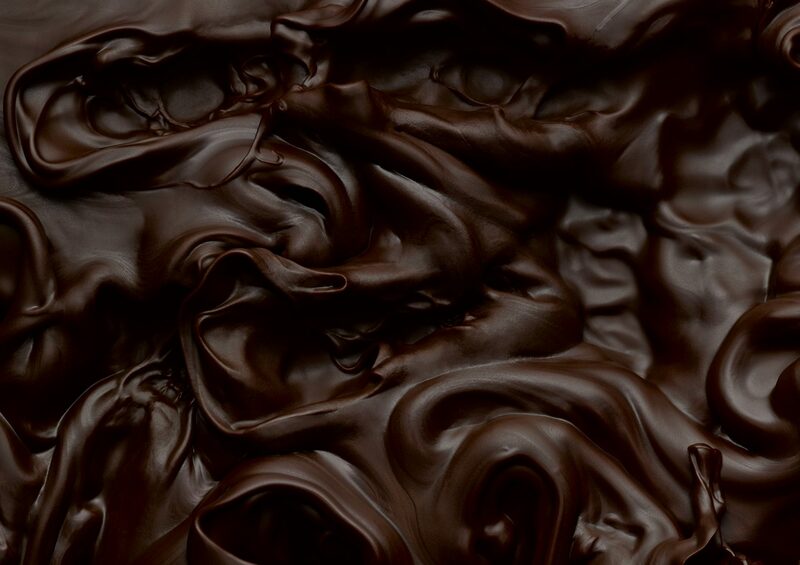 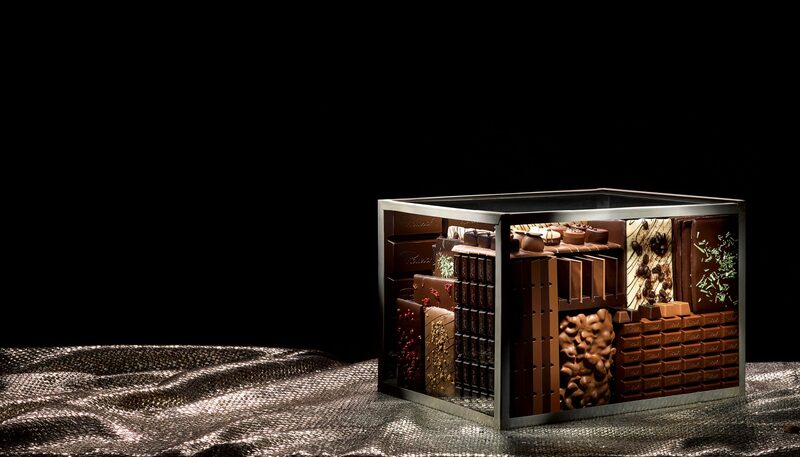 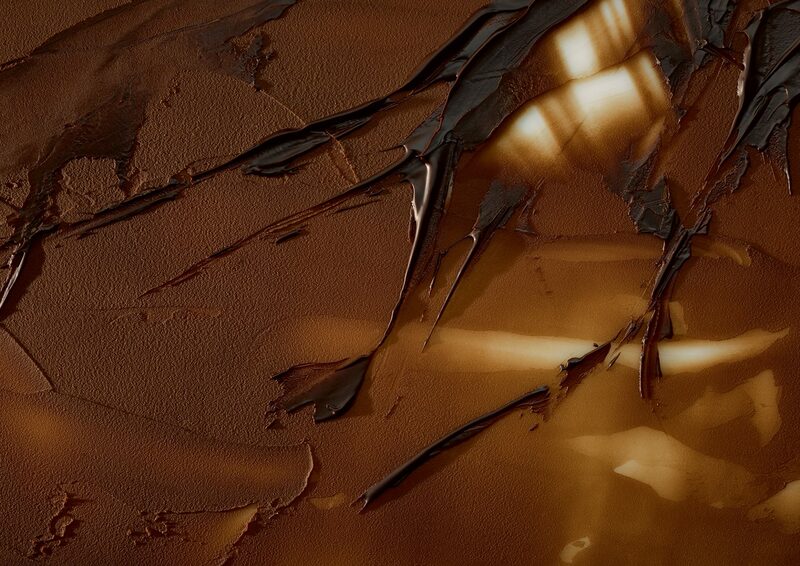 Photographs of pure chocolate highlight the purity of the products. 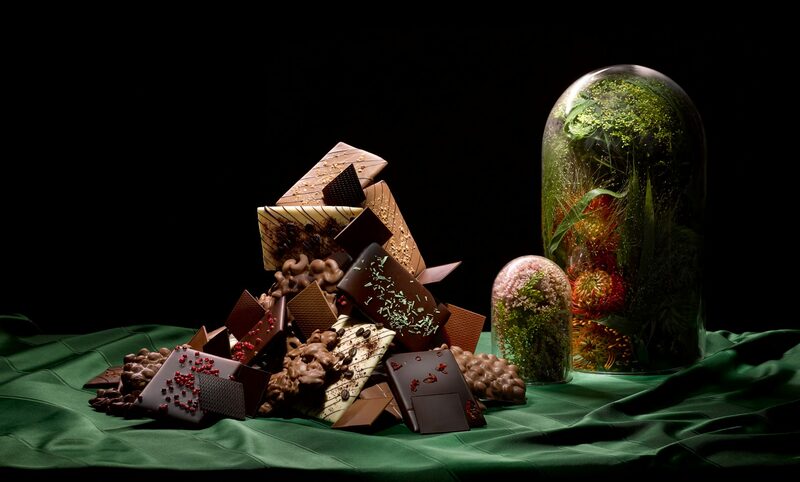 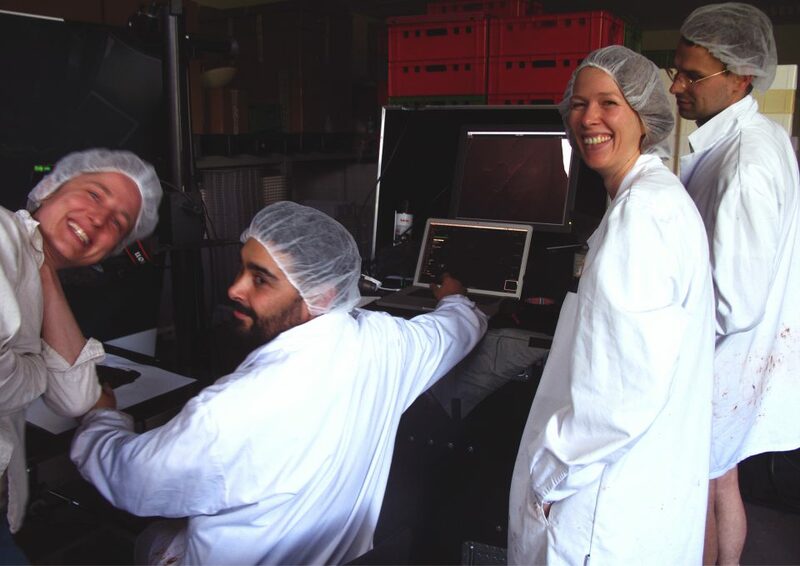 The pictures are utilized in large format with packaging, website, business supplies, and in the Schokoladenhaus. 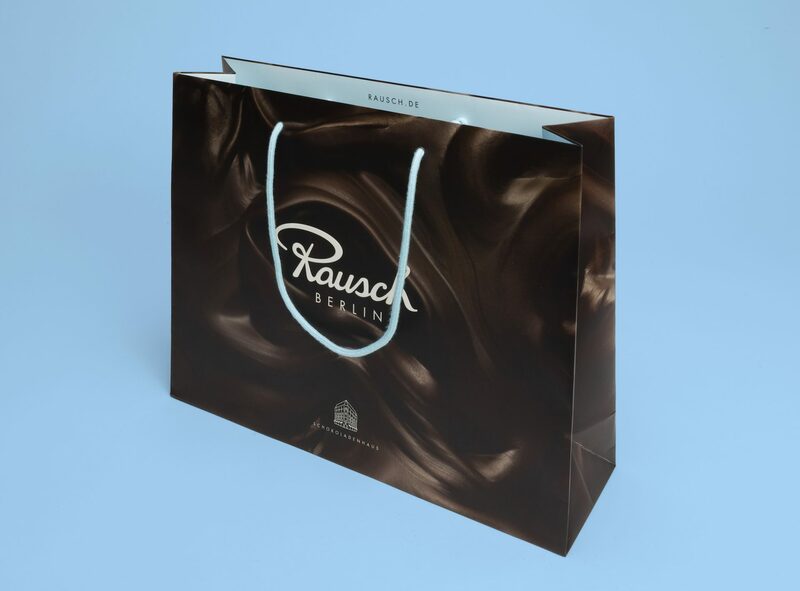 The magazine showcases the extraordinary variety of flavors of the chocolate manufacturer Rausch in a bound edition. 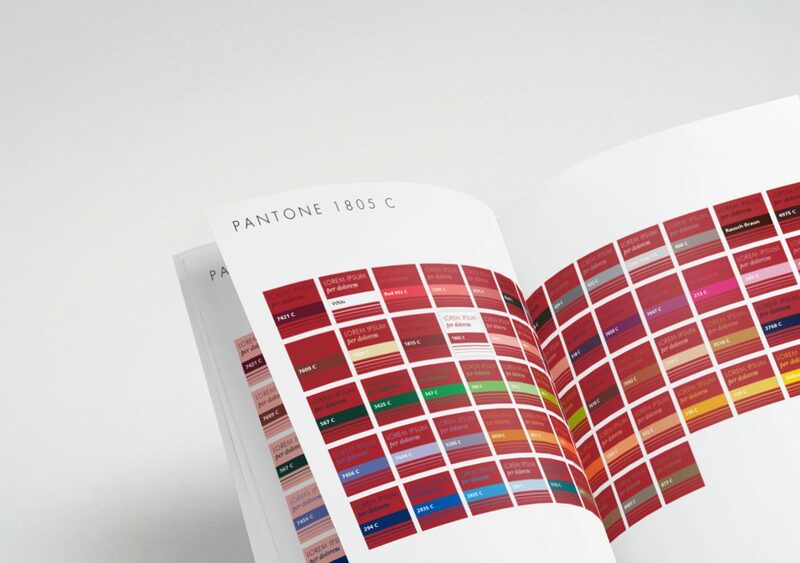 The pictures inspire the reader to learn more. 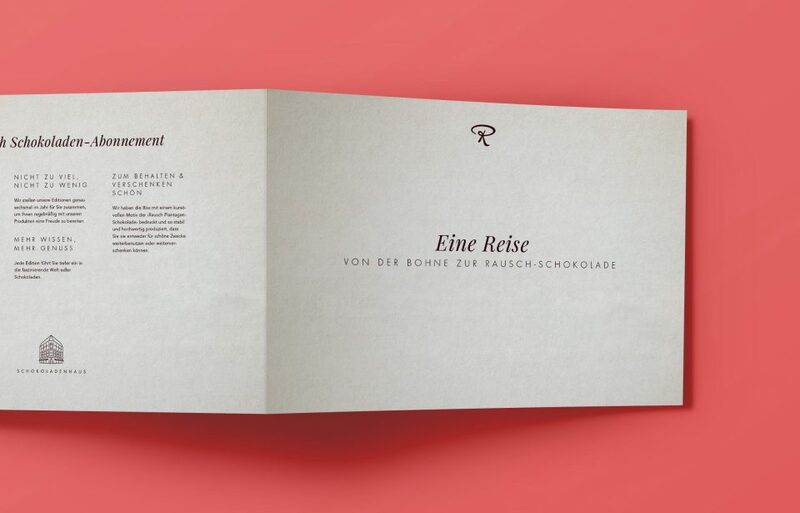 Layout, graphics, and production by Realgestalt. 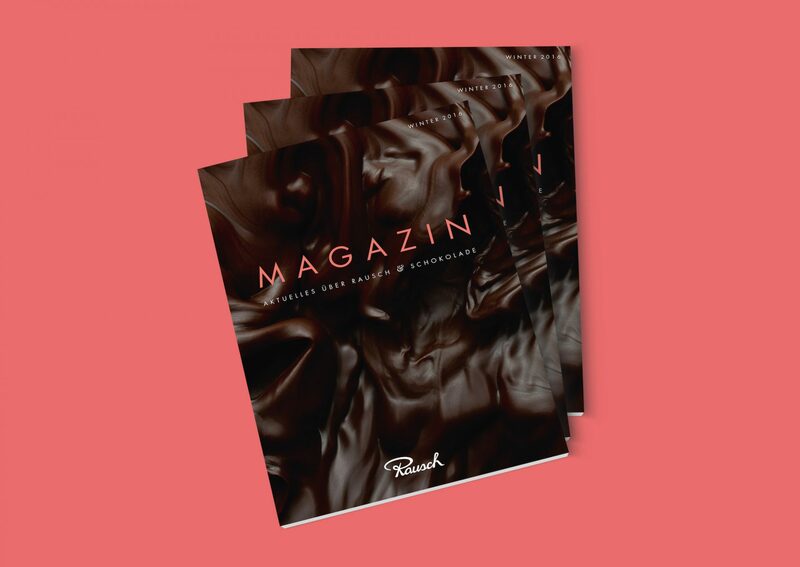 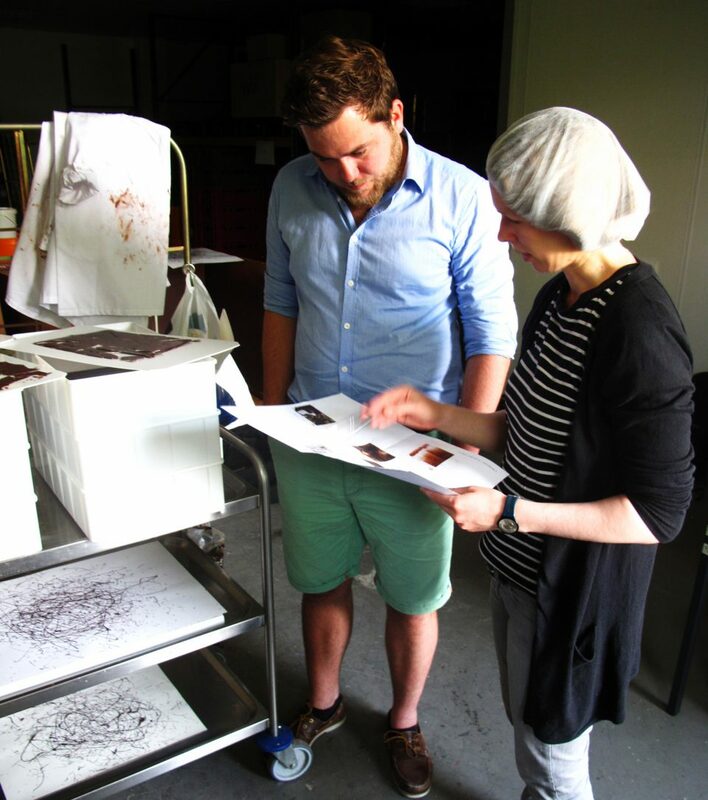 The magazine covers current topics and offers an inside view on how the Rausch chocolate is made. 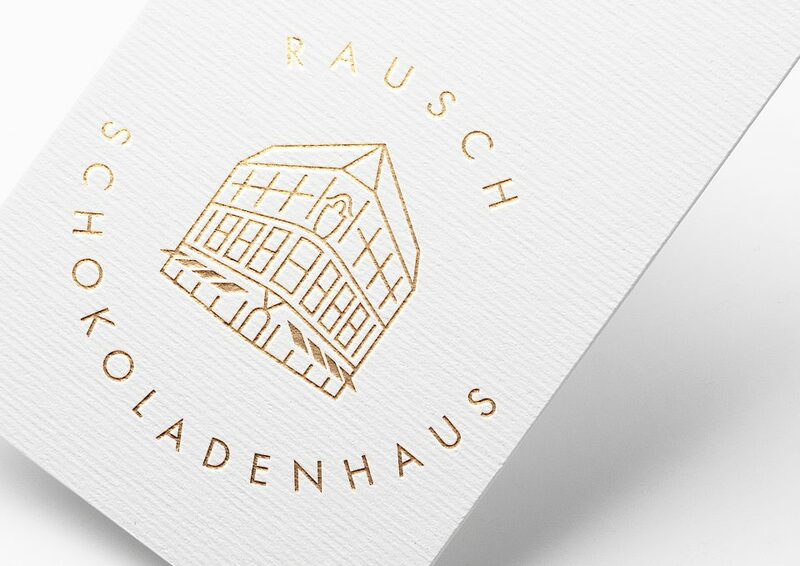 With the help of Realgestalt’s guidelines, Rausch has full control over the design of their brand. 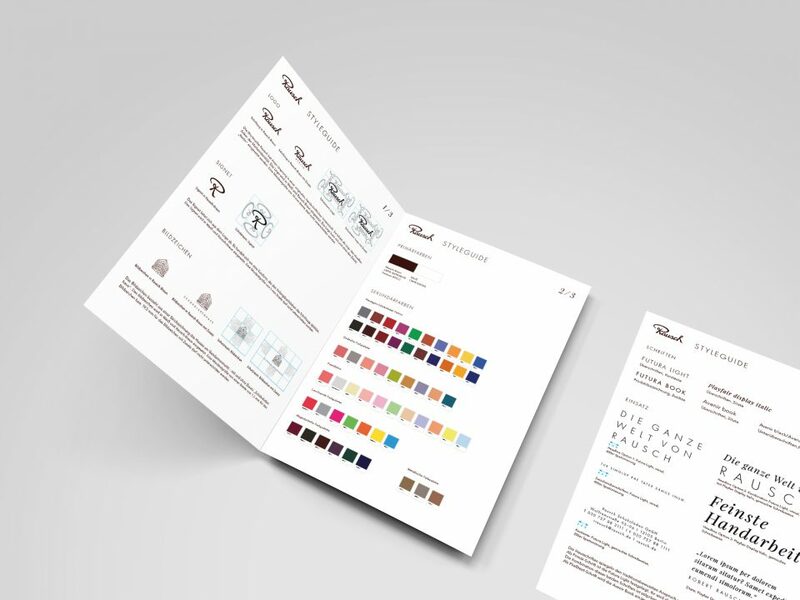 Here, design principles for various applications are documented for employees and partners to use. 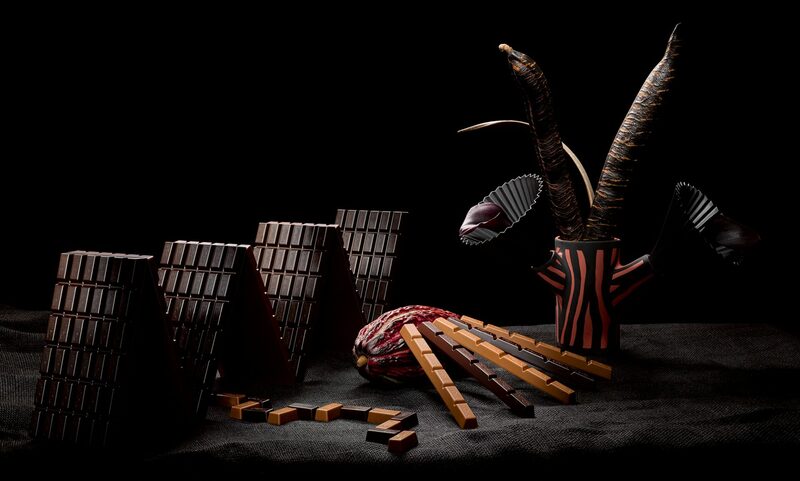 Photographer Attila Hartwig makes artful compositions out of chocolate choosing a traditional style Photo production: Realgestalt, Creative Director: Anne Kohlermann, seen here with Robert Rausch. 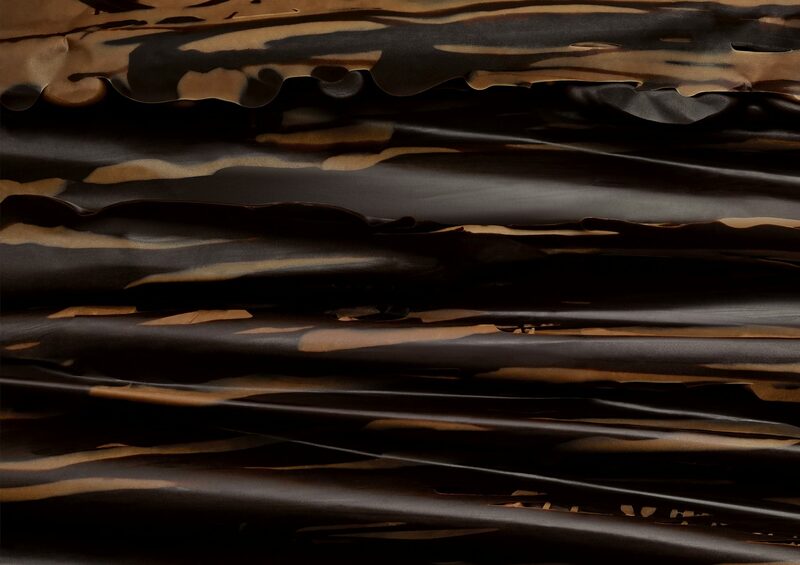 With the new corporate color silver, Daimler makes its ambitions apparent – to be the forerunner in the future of mobility.